Day 24: Tip #2 – Packing Up! them as compacts as possible! This gives me room for bigger things! Bonus: Stuff your shoes with your “unmentionables”, socks, etc. The inside of a shoe is such wasted space in a bag! in a small ziplock. I push out all the air and create mini “packs”! spillable items you collected on your trip! some ASHA Swag! Does your airline allow you two bags? Do it! goodies back home to Colorado! How are you packing your bag for convention? 1337 — Lessonpix Not only am I huge fan of this site, I am a huge fan of the owners too! I use their site for clients and my own toddler – be sure to tell Bill that Tara sent you! 1234 — PediaStaff Even if you aren’t looking for a job, these people are just amazing! Heidi is the sweetest, and they are just a great resource to have. Plus, they always have some useful goodies to give away. 1635 — MindWing Concepts If you’ve never met Braidy, you are missing out! I love this whole line of products for my social cognition and executive functioning clients. And the owner is so sweet! I always stick my head in to see what is new this year! 1325 – Super Duper Stop here first and get an obnoxious yellow bag to tote around all your good stuff. Stash it in your room for the rest of the weekend, because you’ll need the extra bag to take home all your convention goodies. There are also some great deals on their products, and a lot of the time they offer free shipping with a minimum order! 1365 3D SLP A subscription box for SLPs? Awesome! Go check out the great products they are partnering with – I hear some of my favorites will be included soon. 859 – ASHA Store I always try to grab some ASHA gear while I’m at the convention. A jacket, shirt and even a business card holder (I use it as my wallet year round!). I am proud to be an ASHA member, so I love to show that pride in what I wear! 353 ADVANCE-Healthcare Network A nice little magazine, but that’s not what I stop here for – it’s the clothes! They have a ton of gear stamped with “SPEECH-LANGAUGE PATHOLOGIST”. Every year I have to see what’s new and grab some new gear! Check out the guide yourself to pick some stops you just can’t miss! What booths are you looking forward to seeing? It’s the final day of convention – you are exhausted, your brain is about to explode with new information and yet you wish we had at least one more day before returning to reality. Don’t let exhaustion rob you from this final day of experiences! You’re almost done! My final talk is today – and the second installment of “iPad to iPlay”. This is part 2 to my talk from Thursday – and I have packed a LOT of apps into this talk! We’ll cover eight apps and at least three activities per app that you can use as soon as you go back to the “real world”. 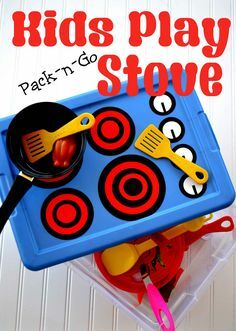 It’s a good mix of table top activities and gross motor activities to keep your clients engaged and learning. The final day, so bittersweet! Also one of the busiest days, so be sure to get to sessions early if you think they will be popular! Bullying is at the heart of my “camp confidence” talk and something my students deal with daily. My research on the topic has shown that most schools are doing it wrong. I look for talks that compliment my passions and give me the opportunity to make connections with similarly minded therapists. My clinic is 100% telepractice currently. This means that, while I am interested in this topic, I am also very experienced. Most of the sessions on this topic this year leave me feeling “eh, I know all about that…” This one has me tentatively excited for some new application ideas. If you are “hopeful” about a topic, GO! But be sure to pick a back-up if it disappoints. #1, #2 and #3 choice – they all start to blend together by the end. During Convention, I change the color of the cell for sessions I attended. This makes it easier to remember session information when entering my CEUs. What session are you looking forward to most on Saturday? 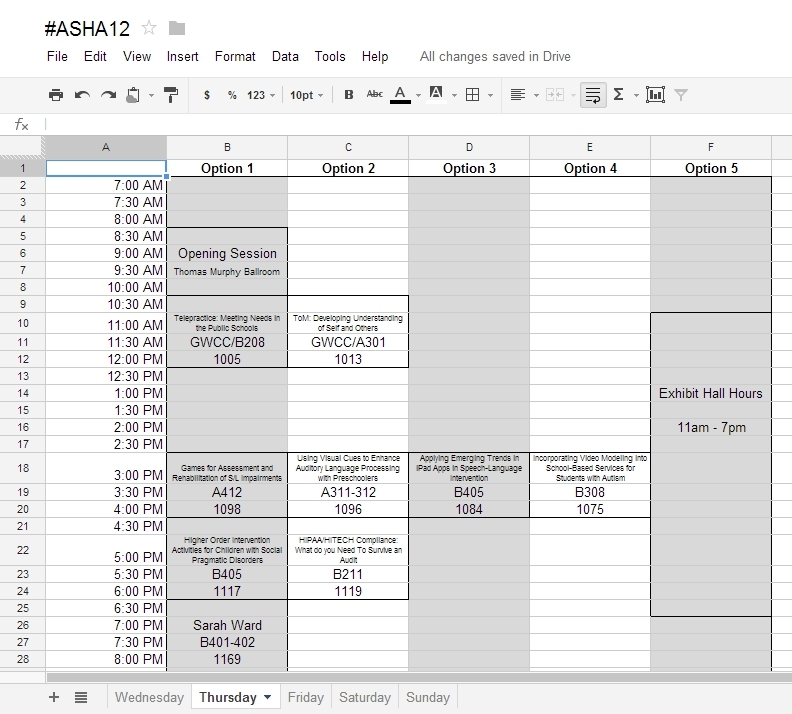 Tomorrow I’ll GIVE you my completed Google schedule, and talk about some booths I plan on hitting in the exhibit hall! Minecraft Gingerbread Houses: Wrap Up! Due to a lot of scheduling craziness, it took us a few extra weeks to wrap up our gingerbread houses. Thank goodness we weren’t planning on eating them! One particular student really loves making “Stop Animation” movies for YouTube. So, we did a “Getting Ready, Doing, Done” to plan out a Minecraft Film that shows you his house (with a little flair for the dramatic). He’s quite proud of it – as am I! His executive functioning skills skyrocketed throughout the gingerbread building process. Remember, gingerbread houses aren’t JUST for the holidays! 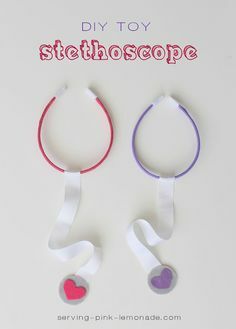 And they can be a fun way to work on those therapy goals with a little “gamification” thrown in. Happy building! Last Friday night I had a great conversation with a fellow SLP in Canada who will be attending #ASHA13. The conversation naturally turned to the iPad, and what apps I use during the convention. I decided to blog about my favorites and how I prep my iPad for the big weekend! iAnnontate: I love this app for writing on my PDFs. Now ASHA is no longer having speakers post their presentations, but 3 page “handouts” were due Monday! Sometimes they are good to reference during the talk! Notability: This is my preferred note taking app. 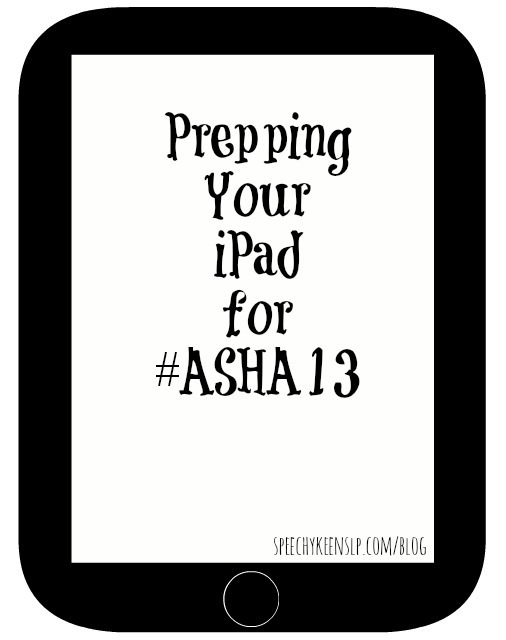 I create a section for ASHA13 and then file my notes from each session under that heading. It allows typing, writing, highlighting, audio recording, stickies, figures, taking a photo and placing it in the note… all while in a very easy to use format! RedLaser: I have found many retailers like to use QR codes. And many of the retailers have barcodes on their products. Although this is an iPhone app, I prefer it as my QR and barcode reader because it keeps a “history”. 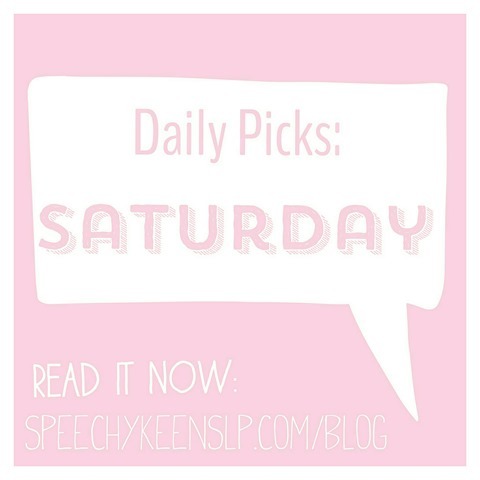 This is great for two reasons – it creates an almost “shopping list” by saving product info AND saves the link – if you don’t have internet access this is great for checking the details later! Clean off your iPad. Clear off images, videos, recordings, files. 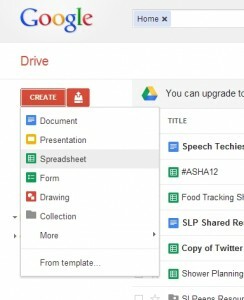 Give yourself plenty of room for all the files you will be creating during the conference. You want your iPad responding quickly! Back-it up using iCloud or by hooking it to your computer. If you have questions about how to do that, you can go here. Though, you may want to leave a few pictures of your therapy room, views of where you are from and your family (human or furry) – to show off, of course! Be sure to get your iPad completely updated. Make sure you’ve done the latest iOS updates and that all of your apps are up-to-date. It will ensure your iPad will keep working throughout the convention. There is nothing worse than a partial update rendering your iPad useless during that one amazing speaker you find. You’ll never forgive yourself! Do you have client sensitive information on your iPad? I would strongly encourage you to clear it off your iPad and store it safely on your computer or elsewhere. This can be therapy notes, videos showing client faces, photos, e-mails with private medical information, etc. If you choose not to take this information off your iPad, I strong encourage you lock it down. Set the PIN and erase any “remembered” passwords. 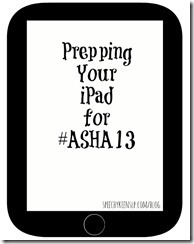 Heaven forbid your iPad disappears at ASHA – you just might have a HIPAA violation on your hands! **Note: This is an edit from last year’s post, with some updates! 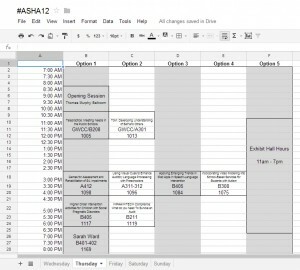 As the American Speech Language and Hearing Association (ASHA) Convention nears, many SLPs and Audiologists are scrambling to create their schedules. There is a variety of ways to peruse the talks – the pocket planner, the on-line scheduler and/or picking up the convention book upon arrival. But many of us have the same problem – too many sessions we want to go to at the SAME time. And no one wants to eliminate all of the options, because often we end up in a boring or irrelevant session and need a second option. Taking all of this into consideration can make creating a schedule quite the headache! 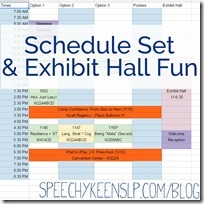 Last year I decided to go “digital” with my schedule and use my Google Docs to create a schedule that is easy to manipulate and accessible from anywhere on the convention floor. It worked PERFECTLY! 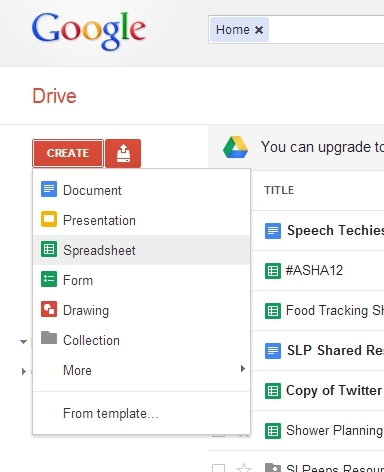 First, I created a “Spreadsheet” in my Google Drive account. 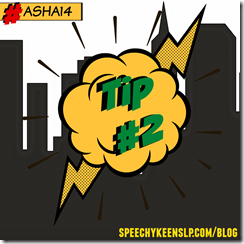 I named it #ASHA13 in reference to this year’s twitter hashtag for the conference. 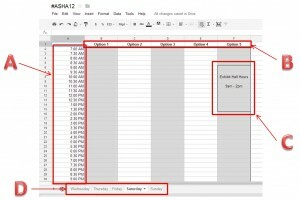 A: I set up my time table from 7am – 10pm in half hour increments. I chose these hours to indicate when I expect to be getting up/grabbing breakfast (for any breakfast meet-ups I schedule) and when I *hope* to be in bed. I give myself time slots around the convention hours because of all the social events surrounding the convention itself. B: I like to give myself PLENTY of options for time slots. So I have given myself a few columns to line up the different talks that strike my fancy. 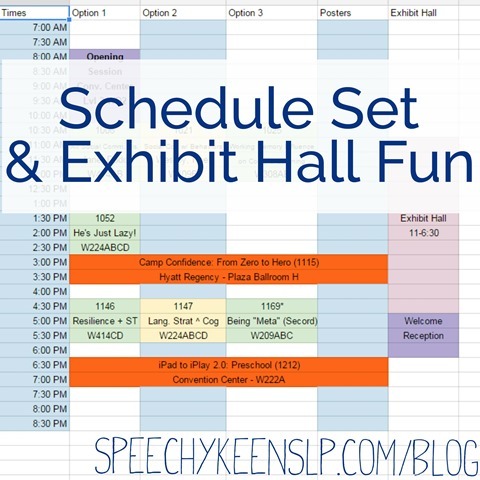 C: In the final column I have put the exhibit hall hours – not only for my own reference, but also because I am planning to visit all of my friends like Pedistaff, Lessonpix, and SmartyEars! D: I then created a page for each day of my trip (from Wednesday when I arrive until Sunday when I fly out), copied and then pasted this template on each page. I was then ready to begin creating my schedule! Here is an example of my Thursday schedule from last year. I opted put the full name of each session I want to attend. I’ve learned in years past that abbreviations just frustrate me when I am part way through the day and can’t remember EXACTLY what the session is going to be about. Making the font smaller ensures that it doesn’t mess up my spacing/formatting too much. I also put the room number AND the session number. I put in the session number so that, when it comes time to submit my CEUs, I have them all in one place! 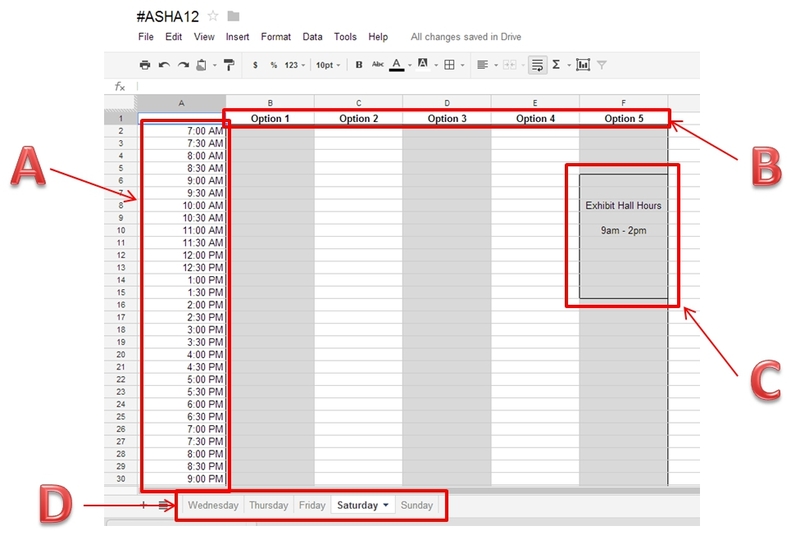 I hope this gives you some ideas when it comes to scheduling your time at ASHA, let me know if you use this idea or have another one! I’d love to hear about it! Posted on November 29, 2012 by Tara in Uncategorized | Enter your password to view comments. A new gym has opened up in New York which has the google-verse buzzing. The gym, WeeZee, has been started in Chappaqua, New York by Louise Weadock-Rowe. Louise is a Child Psychiatric Nurse. Her biography on the WeeZee website states she was part of the team at John’s Hopkins which first identified signs and symptoms of the most severe form of Sensory Integration Disorder – Autism. Her daughter being diagnosed with Sensory Integration Disorder for “Autistic-like behaviors” opened her eyes to the needs of children with sensory issues. Once she began going to therapy appointments with her daughter, she began to realize the benefit of sensory desensitization and turned her home into a sensory “fun zone”. What Louise began in her home for her own daughter, has now become a place for all children. And her daughter is on the team as an intern! 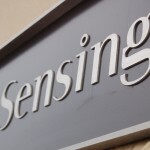 What Is All This “Sensory” Talk? What’s So Great About A Gym? Sensory Smarts: What Is a Sensory Diet? Heckerty is a witch who just can’t seem to get things right… she flies her broomstick backwards and jumbles up the words to her spells. But in the end, she still wants friends. Will you be her friend? …. even if she turned her face green? Last week I was given a free download code for Heckerty. I had never heard of it before, nor did I know any of the background (check the website out for the amazing history!). It came through the pipeline thanks to my connections with Hacking Autism. So I downloaded it and gave it a try – and by give it a try I meant really went through the whole thing, reserving judgement till the end. Although it wasn’t an app designed for children with Autism, a lot of success stories were coming to the company from families with children impacted by Autism. Last night Allen and Jan (the voice of “Heckerty”) called me to talk to me about their plans for Heckerty and to hear what I had thought about the app. I don’t want to get into too much of my own opinion, that will be a future post. Also, I would hate to taint your thoughts because …. Let me know if you’re a teacher, therapist, parent etc! *IF* there are any codes left, I will e-mail it to you! NOTE: Codes expire tomorrow night, so redeem as soon as possible! If you are an educational professional, please review here (preferred) or e-mail thoughts/comments. Parents, please leave a comment here on the blog or e-mail reviews to the address above! Only 10 codes – good luck! It’s that time again! 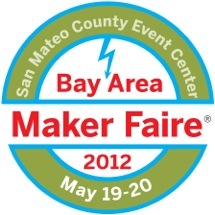 Anyone who knows me personally knows I am a HUGE Maker Faire fan. Not only am I somewhat of a creative person myself (*coughcoughGEEKcoughcough*), I also get so many great therapy ideas from the innovation presented there. 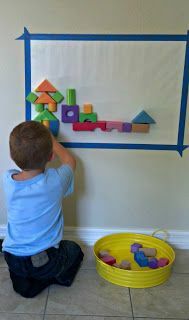 A giant light bright for students with fine motor difficulty? Real R2D2s to interact with and a great opportunity for practicing your pragmatic skills and language skills? Tesla coils to… oh ,heck. 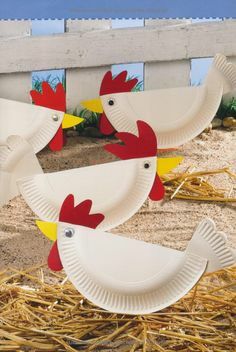 Those are just plain cool! And the “makers” are there with their creations, ready to answer questions and demonstrate their work. So many of my clients are inventors and “tinkerers” themselves – taking apart the toaster, rewiring the desktop … and Maker Faire is a great place for them to have their curiosity encouraged and have new ideas ignited. There is a great blog post on the Maker Faire website about eductors’ views of Maker Faire – be sure to read it! Now for some great news – tickets! That’s right – General Electric is one of this year’s sponsors of Maker Faire and they are looking to encourage teachers to attend this year. They have offered a few free tickets to my fellow Bay Area teachers/therapists/students. Leave me a comment here or on twitter (@speechykeenslp) if you’re planning on coming and I’ll let you know if we have any tickets remaining – then tweet a picture of you and you’re ticket so we can thank General Electric! !